The Liqid Element LQD3000 PCIe Add-In-Card (AIC) features high storage capacity and extreme performance for mission-critical and performance-demanding workloads. It is an ultra-thin, standard form factor half-height half-length (HHHL) card that works seamlessly with systems that have existing PCIe slots. This makes the Element AIC ideal for deployment in data center and enterprise applications. 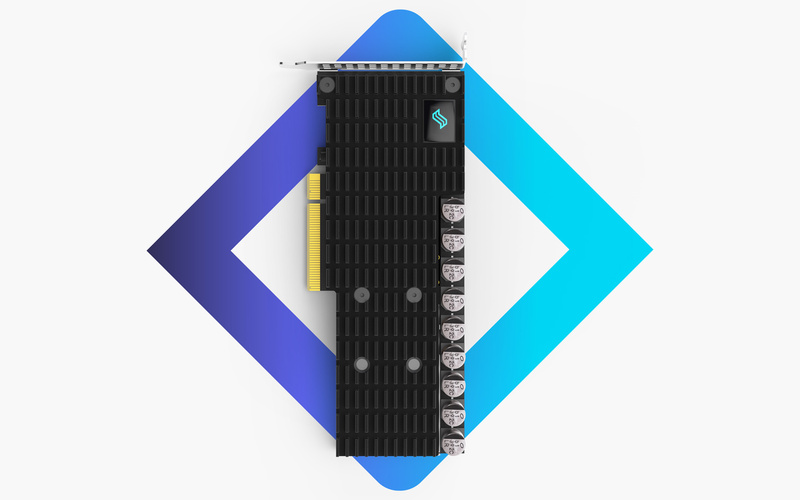 The Element LQD3000 AIC offers a Gen 3.0 x8 PCIe interface, which enables high throughput and low-latency transactions and utilizes the latest NVMe protocol in order to deliver increased performance and efficiency from a single device. The LQD3000 outperforms legacy architectures by delivering up to1.25 Million IOPS of random performance, up to7 GB/s of throughput, and ultra-low transactional latency of 20us. Our proprietary architecture removes system bottlenecks. This performance lowers infrastructure cost while yielding higher performance. Due to the density of our drive you can better utilize server space. This dollar per terabyte ratio dramatically drives storage costs down. Our technology is among the best in the industry related to amount of performance per watt. Typical performance for our HHHL is over 1 Million IOPS.That works out to a conservative estimate of >30,000 IOPS/W. Typical enterprise SSDs are much lower at only 5-10 K IOPS/W. The Element LQD3000 AIC’s innovative design enables multiple drive configurations ranging from maximum performance to maximum redundancy. The LQD3000 also features enterprise-class power failure protection for increased reliability to prevent data loss and ensure uninterrupted work in case of power failure.